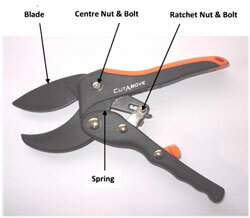 CutAbove Tools has an extensive range of spare parts. Typically if a part can be removed from one of our products we are likely to have a replacement. Superseded products including many from the Clevedon range are also available. Listed below are product code numbers and descriptions. Click on the "PDF Spec Sheet" to obtain the part(s) you require. PLEASE CONTACT US TO ORDER SPARE PARTS. Phone (0403 128 500), email us (click here) or inquire via the contact us page. Below is a list of current products. If you have a product that isn't listed please do not hesitate to contact us.